The California Air Resources Board refused Volkswagen Group’s recall repair for about 16,000 vehicles with the automaker’s 3.0-liter V6 diesel engine in the state. The agency called the proposed fix “incomplete and deficient in a number of areas." According to CARB, VW failed to describe the repair procedure adequately and didn’t provide enough data proving it would actually work. The regulator also said the fix wasn’t expeditious because the automaker needed to continue collecting data through December 2016 before performing the recall on some vehicles. According to Automotive News, CARB could potentially force VW Group to buy back these vehicles if the automaker can’t create a satisfactory repair. The company recently agreed to pay over $10 billion to repurchase 475,000 cars with the 2.0-liter TDI. The automaker had to fork over around $5 billion more to settle environmental and consumer claims, too. 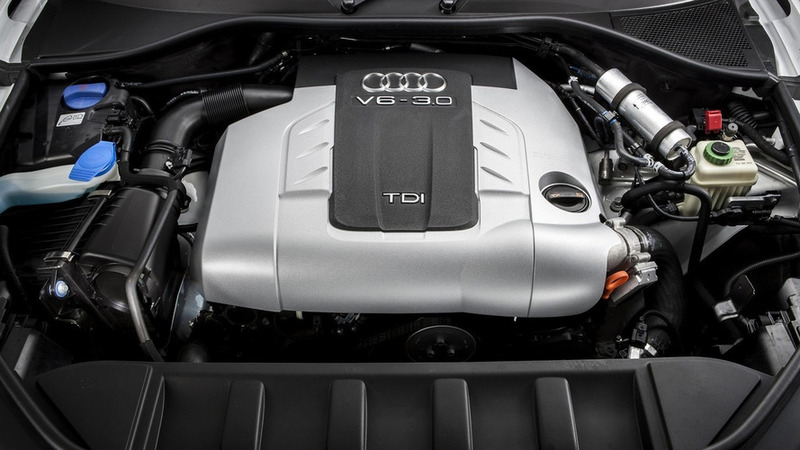 In November 2015, CARB and the EPA found that the 3.0 TDI contained undisclosed Auxiliary Emission Control Devices. The regulators said this tech could “bypass, defeat, or render inoperative elements of the vehicles’ emissions control systems.” These engines are in about 85,000 American examples of the VW Touareg, Porsche Cayenne, Audi A6, A7, A8, and Q5. Outwardly, Audi seemed rather confident that it had a satisfactory recall procedure ready. The automaker's boss Rupert Stadler said in 2015 that the diesel V6’s repair would be “swift, straightforward and customer-friendly.” Following the recent four-cylinder engine settlement, VW’s lawyer told Reuters: "The company believes that we can fix the 3.0-liter to the standards to which those cars were originally certified.” CARB’s rejection letter didn’t describe the specific repair, but it reportedly included installing a new catalytic converter on the affected models. - The California Air Resources Board (CARB) today rejected proposed recall plans submitted by Volkswagen/Audi and Porsche for repair of undisclosed Auxiliary Emission Control Devices (AECDs) and defeat devices in 3.0 liter, diesel passenger cars manufactured for model years 2009-2016. This decision affects about 16,000 3.0 liter diesel Volkswagens, Audis and Porsches sold in California. CARB staff has determined that the proposed recall plans submitted by the companies are incomplete and deficient in a number of areas (see links below for rejection letters). See 3.0 liter rejection letters for Volkswagen/Audi and for Porsche. Other information concerning VW, Audi and Porsche’s violations can be found here.